The Vice Presidential candidate of the Peoples Democratic Party (PDP), Peter Obi, has commended the All Progressives Congress (APC) leader, Bola Ahmad Tinubu, for kicking against the increase of Value Added Tax (VAT). 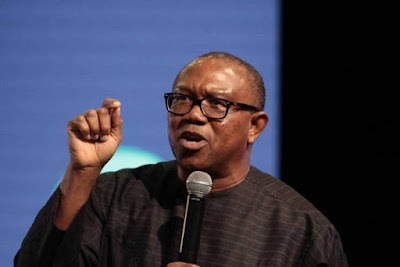 In a statement released to newsmen from his media office on Sunday, Peter Obi noted that Tinubu’s warning was at variance with that of his party and goes to underscore the uncoordinated campaign they dished out to Nigerians. The former governor of Anambra said the position of the PDP and the presidential candidate which was made loud and clear during the electioneering is that tax must be relaxed to act as an incentive to investors. According to him, the right way to go to shape up the economy given the magnitude of unemployment in the country is to have an attractive economic policy that will be inviting to entrepreneurs and investors. Obi said that Tinubu’s warning is good but he should have been humble enough to credit to the opposition party instead of making it feel as if it has been the position of the party. “It’s extremely unrealistic for anybody to think of growing the economy of this country, and creating jobs just by increasing tax, it’s too a simplistic approach”, he noted. The VP candidate said that he hopes that Tinubu would go further also to advise the APC to embrace restructuring as that is the only option left to move this country forward. “Anybody thinking that this country will work without tinkering with the political and economic structure is deceiving himself because no nation grows on injustice”, he added.